When you open the pages of a fashion or lifestyle magazine, particularly one known for its award-winning photography, you expect to find beauty. Style editors must oversee a magazine's visual production to ensure that beauty is always on point. 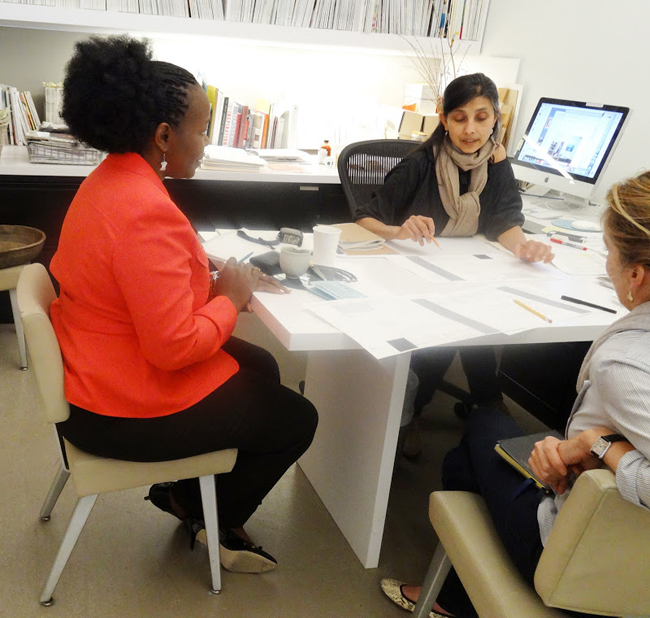 Ayesha Patel is the Executive Editorial Style Director for Martha Stewart Living. She has been working with Martha since she joined the magazine in 1996 and is responsible for so much of the gorgeous imagery we see presented to us each month in the magazine. Ayesha oversees all the photo shoots and must be a logistical and creative genius. She must determine what time of day a photo shoot should take place to ensure the correct atmospheric lighting: at dusk for a Halloween shoot, early in the morning for a spread on daffodils. 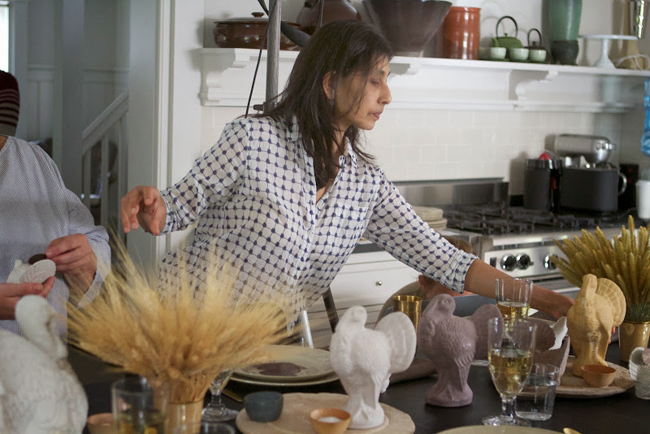 She decides on locations, all the props, the composition, the colour palette and the arrangement of food on a plate. She must determine the setting of the table to the way a scarf should be worn around Martha's neck. Working with each of the other editorial directors (for food, decorating, crafts and gardening) she visually produces and coordinates all of the stories we have read in the magazine since the late 1990s. For that, I am truly thankful. So much of what makes Martha Stewart Living such an enjoyable part of my life is the visual interest and inspiration it brings to my life. Thank you, Ayesha! Ayesha setting a table at Martha's tenant cottage in Bedford for a Thanksgiving photo shoot. Ayesha in her office planning the logistics for a photo shoot: the location, the time of day, the props, the styling details and making it all come together seamlessly. 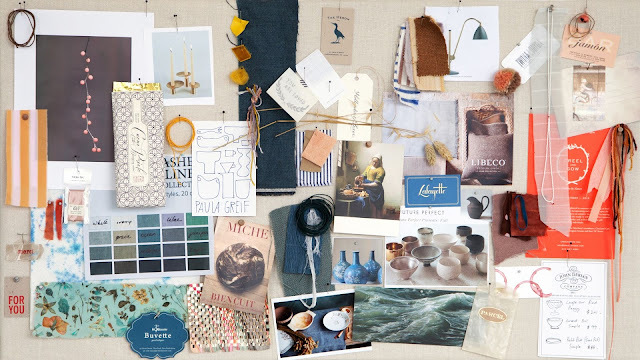 Ayesha collects all kinds of ephemera to keep on her inspiration board in her office. The finished spread in the magazine is always dazzling. Every detail is considered. I Love your 25th anniversary countdown. Another favorite and inspiring person. I admire Ayesha and love love her work. Thank you for such an interesting & informative series. I'm looking forward to the next 15 days! As an original subscriber to Living I have watched the fortunes of Martha change over the years - some good, some bad. I have not always enthused over her products - loved the original tv series - 1/2 hour and full hour - hated the studio show. 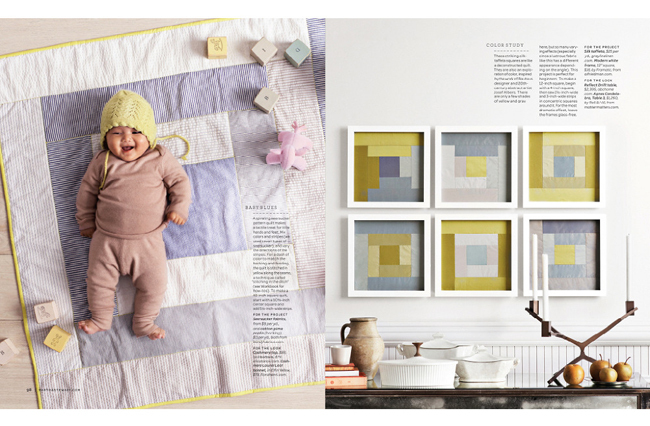 Loved Martha by Mail - don't like the Chinese-made range at Macy's but love the concept of American Made. All in all she is still a great role model for how things should be done! I never knew Ayesha's name and shame on me. Obviously an unsung hero of the publication!